I have sold a property at 11597 240 ST in Maple Ridge. Please visit our Open House at 11597 240 ST in Maple Ridge. Beautiful family home in very desirable area. 3 bedrooms/2 bathrooms upstairs with gorgeous wood flooring. Huge, updated kitchen. Downstairs is a den for the main house and a full sized, unauthorized 1 bedroom suite perfect for inlaws. Large lot with great deck for entertaining. Heat pump/AC system to keep you cool in the summer. 2 car garage and plenty of room to park your RV or boat (or both) as well. Beautiful family home in very desirable area. 3 bedrooms/2 bathrooms upstairs with gorgeous wood flooring. Huge, updated kitchen. Downstairs is a den for the main house and a full sized 1 bedroom suite perfect for inlaws. Large lot with great deck for entertaining. Heat pump/AC system to keep you cool in the summer. 2 car garage and plenty of room to park your RV or boat (or both) as well. I have listed a new property at 11597 240 ST in Maple Ridge. I have sold a property at 23770 110 AVE in Maple Ridge. CUSTOM BUILT W/ PRIDE OF OWNERSHIP THROUGHOUT! Immaculate 5 bdrm family home nestled on a quiet street backing on to the Kanaka Creek trail. TOP of the line, quality finishings- crown mouldings, wide plank h/w flrs, vaulted ceilings & more. Open concept living at its finest- Gourmet kitchen w/ ample storage, quartz counters & island, s/s appliances & wine fridge; Living rm w/ vaulted ceilings, custom built-ins & integrated speakers perfect for entertaining; Sunny family size dining rm w/ French drs to your patio & private, MAINTENANCE FREE turf yard; Elegant MASTER ON MAIN w/ greenbelt views, walk thru closet & 5pc ensuite. 2 large bdrms up. Below, rec rm w/ wet bar & huge cold rm. Great Location, near schools, transit & major roads. I have sold a property at 3 11165 GILKER HILL RD in Maple Ridge. Welcome to Kanaka Creek Estates! Over 1500 sq ft of luxurious living space, this 3 bedroom townhome is located just a block up from sought after Kanaka Creek Elementary. This beautiful home features an extra large living room with cozy fireplace, dark laminate flooring & access out to back patio. Kitchen has white cabinets, tiled backsplash, & adjacent separate eating area w/ large window. Huge master bedroom has vaulted ceilings, large closets & 4 pc ensuite. Two more ample sized bedrooms + 4 pc bathroom complete upper floor. Extra large flex room downstairs, great for storage, mancave or workshop. Very private fully fenced back yard oasis with artificial grass and large deck – perfect for entertaining! Fantastic family friendly complex in a great location! Please visit our Open House at 23770 110 AVE in Maple Ridge. 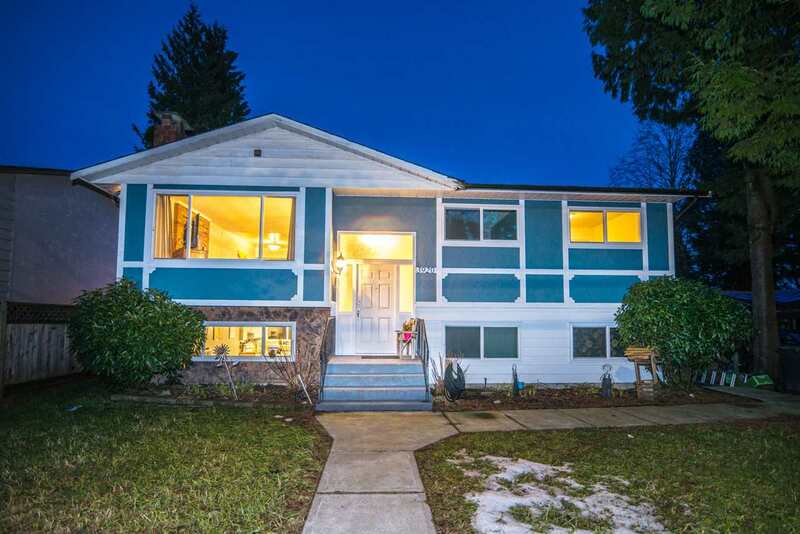 I have listed a new property at 23770 110 AVE in Maple Ridge. Please visit our Open House at 1 11355 236 ST in Maple Ridge. SPACIOUS 3 BEDROOM, 2.5 BATH UPDATED END-UNIT TOWNHOME in family-friendly Robertson Ridge. Over 1500 sq. ft. open floor plan featuring, new paint, new laminate flooring & new baseboards throughout the main floor, new carpets up, extra-large living room with vaulted ceilings & gas fireplace, lots of newer light fixtures, and crown moulding. Updated kitchen includes new counters, back splash, sink, & taps. Extra cabinets & counter space for more storage and work space. Big open area off the kitchen could be family room or eating area. Laundry up w/new washer & dryer, 3 bedrooms upstairs including a big master with walk-in closet & new 4 piece ensuite w/shower & tub. New main bathroom. Quiet street with 2 patios both front & back with nice landscaping. BONUS - double wide garage!! Open House Sun. December 16th 11 am to 1 pm. Please visit our Open House at 3 11165 GILKER HILL RD in Maple Ridge. SPACIOUS 3 BEDROOM, 2.5 BATH UPDATED END-UNIT TOWNHOME in family-friendly Robertson Ridge. Over 1500 sq. ft. open floor plan featuring, new paint, new laminate flooring & new baseboards throughout the main floor, new carpets up, extra-large living room with vaulted ceilings & gas fireplace, lots of newer light fixtures, and crown moulding. Updated kitchen includes new counters, back splash, sink, & taps. Extra cabinets & counter space for more storage and work space. Big open area off the kitchen could be family room or eating area. Laundry up w/new washer & dryer, 3 bedrooms upstairs including a big master with walk-in closet & new 4 piece ensuite w/shower & tub. New main bathroom. Quiet street with 2 patios both front & back with nice landscaping. BONUS - double wide garage!! Open House Sun. December 9th 11am to 1 pm. I have listed a new property at 3 11165 GILKER HILL RD in Maple Ridge. Welcome to Kanaka Creek Estates! Over 1500 sq ft of luxurious living space, this 3 bedroom townhome is located just a block up from sought after Kanaka Creek Elementary. This beautiful home features an extra large living room with cozy fireplace, dark laminate flooring & access out to back patio. Kitchen has white cabinets, tiled backsplash, & adjacent separate eating area w/ large window. Huge master bedroom has vaulted ceilings, large closets & 4 pc ensuite. Two more ample sized bedrooms + 4 pc bathroom complete upper floor. Extra large flex room downstairs, great for storage, mancave or workshop. Very private fully fenced back yard oasis with artificial grass and large deck – perfect for entertaining! Fantastic family friendly complex in a great location! **OPEN HOUSE** Saturday, Dec. 8, 2-4 pm. SPACIOUS 3 BEDROOM, 2.5 BATH UPDATED END-UNIT TOWNHOME in family-friendly Robertson Ridge. Over 1500 sq. ft. open floor plan featuring, new paint, new laminate flooring & new baseboards throughout the main floor, new carpets up, extra-large living room with vaulted ceilings & gas fireplace, lots of newer light fixtures, and crown moulding. Updated kitchen includes new counters, back splash, sink, & taps. Extra cabinets & counter space for more storage and work space. Big open area off the kitchen could be family room or eating area. Laundry up w/new washer & dryer, 3 bedrooms upstairs including a big master with walk-in closet & new 4 piece ensuite w/shower & tub. New main bathroom. Quiet street with 2 patios both front & back with nice landscaping. BONUS - double wide garage!! Open House Saturday December 1st 2 pm to 4 pm. SPACIOUS 3 BEDROOM, 2.5 BATH UPDATED END-UNIT TOWNHOME in family-friendly Robertson Ridge. Over 1500 sq. ft. open floor plan featuring, new paint, new laminate flooring & new baseboards throughout the main floor, new carpets up, extra-large living room with vaulted ceilings & gas fireplace, lots of newer light fixtures, and crown moulding. Updated kitchen includes new counters, back splash, sink, & taps. Extra cabinets & counter space for more storage and work space. Big open area off the kitchen could be family room or eating area. Laundry up w/new washer & dryer, 3 bedrooms upstairs including a big master with walk-in closet & new 4 piece ensuite w/shower & tub. New main bathroom. Quiet street with 2 patios both front & back with nice landscaping. BONUS - double wide garage!! Open House Sunday November 25th 2 pm to 4 pm. Welcome to Kanaka Creek Estates! Over 1500 sq ft of luxurious living space, this 3 bedroom townhome is located just a block up from sought after Kanaka Creek Elementary. This beautiful home features an extra large living room with cozy fireplace, dark laminate flooring and access out to back patio. Kitchen has white cabinets, tiled backsplash, and adjacent separate eating area with large window. Huge master bedroom has vaulted ceilings, large closets and 4 pc ensuite. Two more ample sized bedrooms plus 4 pc bathroom complete upper floor. Extra large flex room downstairs, great for storage, mancave or workshop. Very private fully fenced back yard oasis with artificial grass and large deck – perfect for entertaining! Fantastic family friendly complex in a great location! **OPEN HOUSE** Sunday Nov. 25, 2-4 pm. Welcome to Kanaka Creek Estates! Over 1500 sq ft of luxurious living space, this 3 bedroom townhome is located just a block up from sought after Kanaka Creek Elementary. This beautiful home features an extra large living room with cozy fireplace, dark laminate flooring and access out to back patio. Kitchen has white cabinets, tiled backsplash, and adjacent separate eating area with large window. Huge master bedroom has vaulted ceilings, large closets and 4 pc ensuite. Two more ample sized bedrooms plus 4 pc bathroom complete upper floor. Extra large flex room downstairs, great for storage, mancave or workshop. Very private fully fenced back yard oasis with artificial grass and large deck – perfect for entertaining! Fantastic family friendly complex in a great location! **OPEN HOUSE** Sunday, Nov.11, 2-4 pm. SPACIOUS 3 BEDROOM, 2.5 BATH UPDATED END-UNIT TOWNHOME in family-friendly Robertson Ridge. Over 1500 sq. ft. open floor plan featuring, new paint, new laminate flooring & new baseboards throughout the main floor, new carpets up, extra-large living room with vaulted ceilings & gas fireplace, lots of newer light fixtures, and crown moulding. Updated kitchen includes new counters, back splash, sink, & taps. Extra cabinets & counter space for more storage and work space. Big open area off the kitchen could be family room or eating area. Laundry up w/new washer & dryer, 3 bedrooms upstairs including a big master with walk-in closet & new 4 piece ensuite w/shower & tub. New main bathroom. Quiet street with 2 patios both front & back with nice landscaping. BONUS - double wide garage!! Open House Sunday November 4th 2 pm to 4 pm.